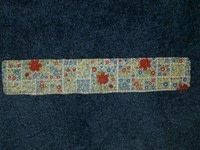 https://www.cutoutandkeep.net/projects/fabric-n-button-stretch-bookmark • Posted by Megan B. 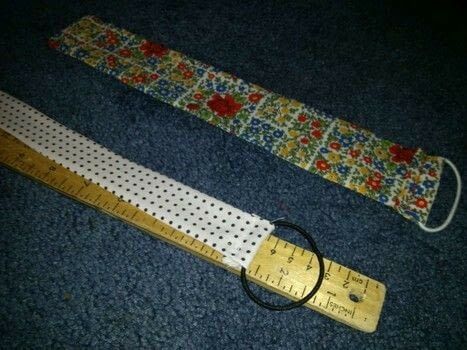 Measure book, double length, then subtract 1.5 inches. Cut fabric that length. The width should be at least 2 inches. Face right sides together. Press. 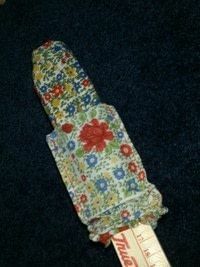 Sew the long sides and one end with 1/4 inch seam allowance. Clip the corners. Turn right side out and push corners to create rectangle shape. Press again. Fold over 2X and press each fold. 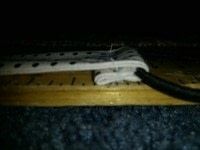 Insert thin hair band and sew across. Make sure to backstitch at beginning and end to secure it. 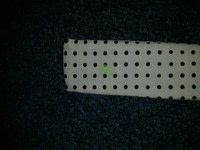 Measure 3/4 inch from other end and mark in the middle with chalk on both sides. 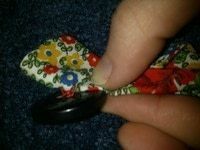 Hand stitch button loosely then wrap around thread 4-5 times under button to create a shank. Wrap around the book pages and front cover. Secure with hair band around the button. Voila!